Which feature adds the most value to your garden? "Instead of splashing out on flashy additions, think about what modern property seekers really want from an adequate outdoor space"
Prospective property buyers have a surging appetite for outdoor space, as 37% of Brits spend more time in their garden than they did five years ago. 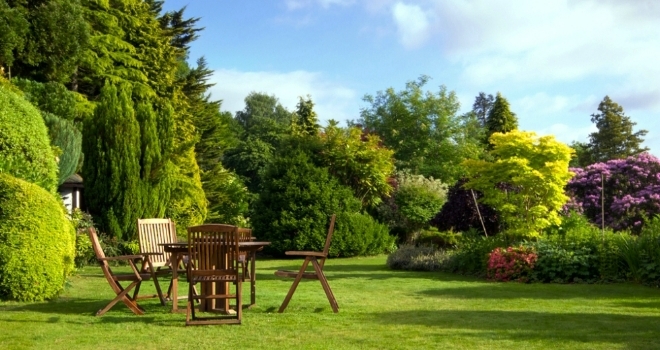 Research has revealed that a garden can add anywhere between 5-20% to a property’s value. In light of this, Sellhousefast.uk decided to consult 36 different estate agents, garden designers and property professionals (investors and consultants) from around the UK to find out how homeowners can beneficially make the most of their outdoor space to maximise the value of their property. Garden features were ranked and experts revealed the following: A decent-sized shed (82%) was the most popular cited feature to add value to a property. This was closely followed by good quality paving/patio (76%) and then, secure fencing/walls/gates (72%). The lowest ranking garden feature to add value to a property was artificial grass/lawn at (40%). Most the experts did agree that homeowners should aim for a combination of these garden features rather than striving for a specific one for it to really boost a property’s value. Neil Walter an Estate Agent commented: “Over the last three years, I would say prospective tenants and buyers have become really fascinated with gardens. Often when we conduct viewings, I find them wanting to visualise themselves in the garden and carefully thinking about how they would harness the environment around them. I would say it has become an extension of a living space, as many have varying aspirations as to how they would like to use the garden space. For homeowners looking to sell or rent, I always recommend keeping their garden renovations and refurbishments at a moderate level as potential buyers/renters always have their own vision as to how they want things to look”. Lauren Pascal a Garden Designer commented: “When homeowners hire me to improve the appearance of their garden with the intention of boosting the value of their property, I always ask them what they ideally want. More often, than not, it includes fancy water features and a sea of extravagant flowers. Whilst understandable, the expense required to have such things exceeds their willingness to spend. My recommendation is to be cost-effect by making some light rather than drastic changes, depending on the current state of their garden. Spending tons to have a lavish garden does not always correlate to an increase in property value. If a garden is scattered to the point where most of the space is occupied, then it makes it very difficult for potential occupiers to envision themselves there enjoying the outdoors. It might not be an obvious realisation but small changes can have a more significant impact than major transformations”. Robby Du Toit, Managing Director of Sellhousefast.uk commented: “This research is certainly fascinating. With so much focus on perfecting the interior of properties, what many forgot to consider is the outside. A poorly kept and unmaintained garden can negatively affect a buyer/renter’s perception of a property and in the process, decreases its actual value. The fantastic takeaway from the consulted professionals and experts in this research is that massive injections of money are not always required to rectify the condition and appearance of a garden”.